“UFC 153: Aldo vs. Koch” takes place October 13th inside HSBC Arena in Rio de Janeiro, Brazil. Tickets for the show go on sale today at 7PM ET. Seats are priced at: Stands (R$ 275); Special Seats (R$ 850); Premiere Seats (R$ 1.800), Premiere Octagon (R$ 1.800). Fans from around the globe can purchase tickets online at www.ticketsforfun.com.br. 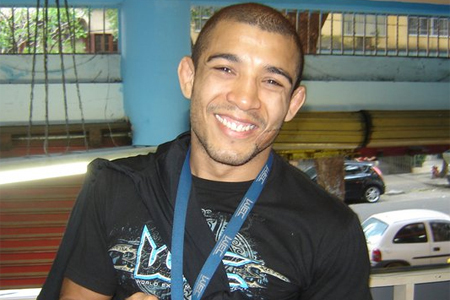 A featherweight affair between champion Jose Aldo (Pictured) and Erik Koch headlines the fiesta. Middleweights Vitor Belfort and Alan Belcher serve as the night’s co-featured attraction. As if that weren’t enough, Quinton “Rampage” Jackson vs. Glover Teixeira, Jon Fitch vs. Erick Silva and Demian Maia vs. Rick Story round out the star-studded main card.